How many times have you seen screenshots of inboxes at 300+ unread messages? Social media posts relishing in the newfound glory of an emptied inbox? 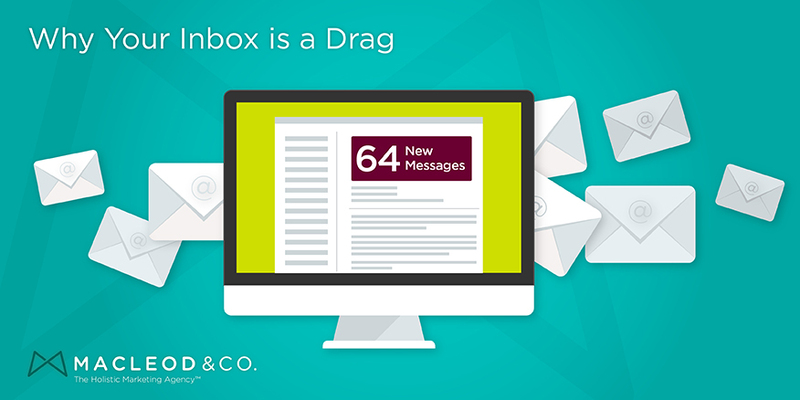 It’s pretty clear we’re overwhelmed with email. It’s almost as annoying as voicemail. Almost. In short, it’s a burden. A burden we know we can’t really win. Combine that with the epic of busy-bragging and you have some seriously toxic conditions. Those of us in marketing need to get real about what our emails are doing. Are we really adding value to someone? Are we making our point QUICKLY? Are we respecting their time? HubSpot provided a great report “How to Get Your Sales Emails Opened” and there are plenty of tips anyone who uses email to get something they need (i.e. YOU, ME, AND EVERYONE WE KNOW) should think about. Emails sent over the weekend are 10% more likely to get opened. Why? Because you get fewer emails over the weekend. Emails with “you” in the subject line are less likely to be read. Also — a little creepy. Similarly, the words “tomorrow,” “meeting” and “quick” inspired dread and were put off being opened. Those words make the task you’re giving the ready a little too apparent. What works? The word “free.” File under: Not Shocking. So next time you shoot someone an email, put yourself in their shoes first. Let empathy take the driver’s seat and you’ll find yourself crafting emails that get to the point, show you’ve thought about the other person’s time, and quickly highlight the value you can offer in return. And those emails will not only get opened, but returned and acted upon.